" Love is a many splendid thing. All you need is love! " 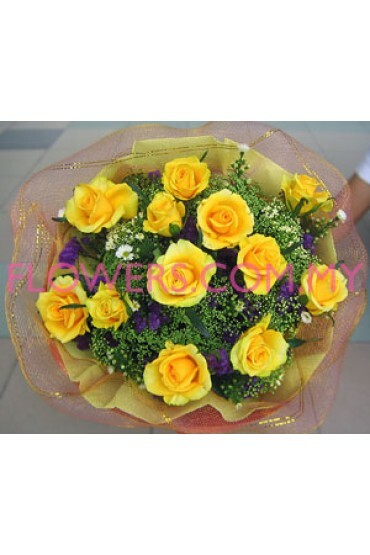 Description: Send warm loving thoughts with this bright and cheerful bouquet of 12 stalks of Yellow Roses with Yellow Peacock and Statice, all wrapped in a special design with special wrappers. 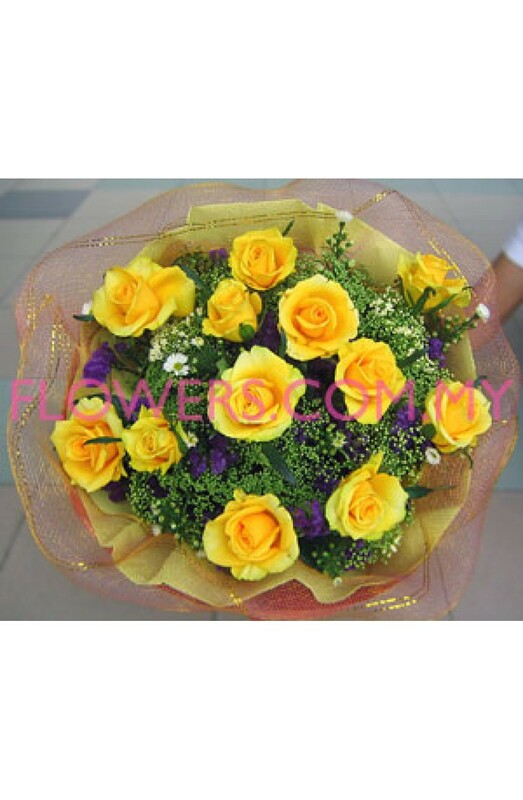 Specially for your loved ones. Availability: This design is only available in KL & PJ areas.